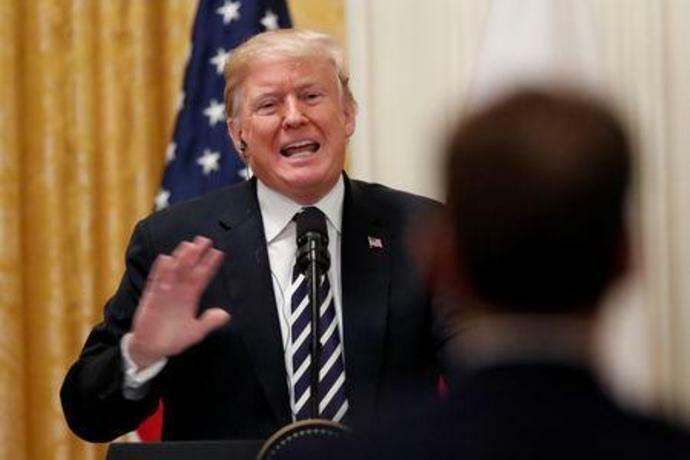 WASHINGTON (Reuters) - President Donald Trump on Wednesday said it would be "unfortunate" if the woman who has accused his Supreme Court nominee Brett Kavanaugh of sexual assault did not testify before a U.S. Senate committee, as he stepped up his defense of the conservative federal appeals court judge. Christine Blasey Ford, a university professor in California, has accused Kavanaugh of sexually assaulting her in 1982 when both were high school students in suburban Maryland. Kavanaugh has denied the allegation. The Senate Judiciary Committee, which oversees Supreme Court nominations, has scheduled a hearing for Monday and invited both Ford and Kavanaugh to testify. 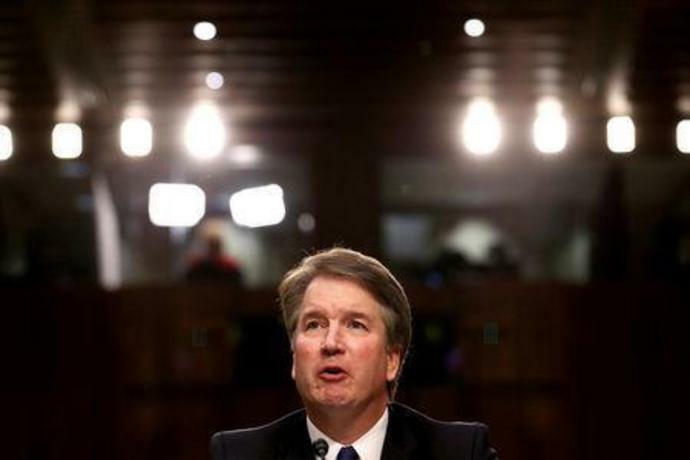 Ford's lawyers said on Tuesday she would not appear before the Senate until after the FBI investigates the allegations. Officials have said the FBI is not looking into the matter. "Look, if she shows up and makes a credible showing, that will be very interesting and we'll have to make a decision. But I can only say this: he's such an outstanding man - very hard for me to imagine that anything happened," Trump told reporters. The accusations have roiled a confirmation process that once seemed smooth for Kavanaugh, who if confirmed could consolidate the conservative grip on the top U.S. court. The confirmation fight comes just weeks before Nov. 6 congressional elections in which Democrats seek to win control of Congress from Trump's fellow Republicans. Patrick J. Smyth sent a letter to Republican Senate Judiciary Committee Chairman Charles Grassley and top Democrat Dianne Feinstein in which he denied seeing any "improper conduct" by Kavanaugh, a classmate at Georgetown Preparatory School, according to CNN, which obtained a copy of the letter. "I am issuing this statement today to make it clear to all involved that I have no knowledge of the party in question; nor do I have any knowledge of the allegations of improper conduct she has leveled against Brett Kavanaugh."